Here you go sweet Anna. I know how much you love this dessert. What is it about mint; is it the cooling effect, the taste or the scent? 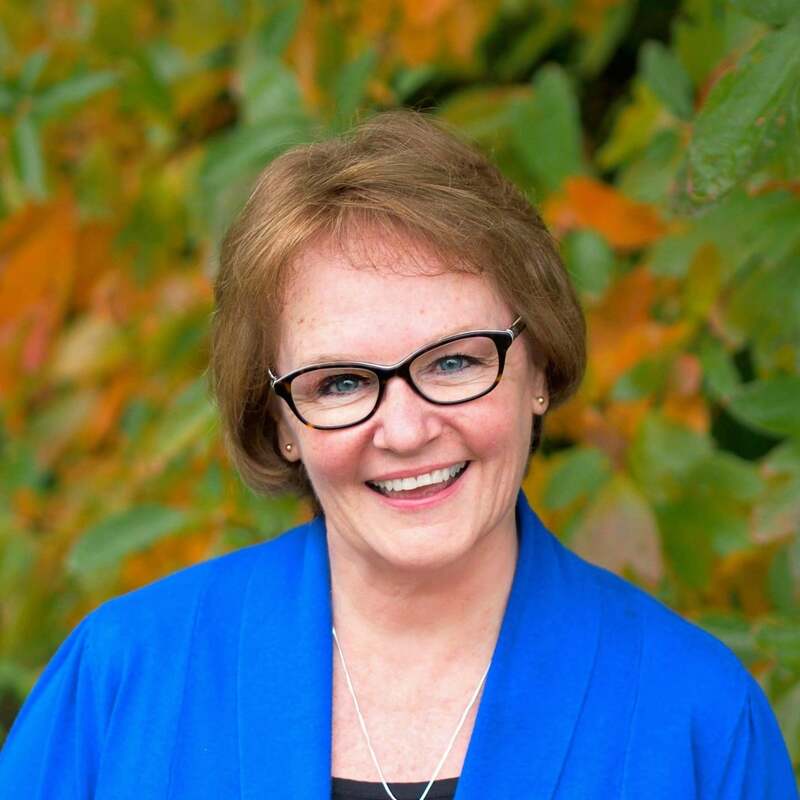 Well, of course, it is the combination of all three that creates that oh-so-refreshing lift, and just when you need it most, it can help out in a pinch. 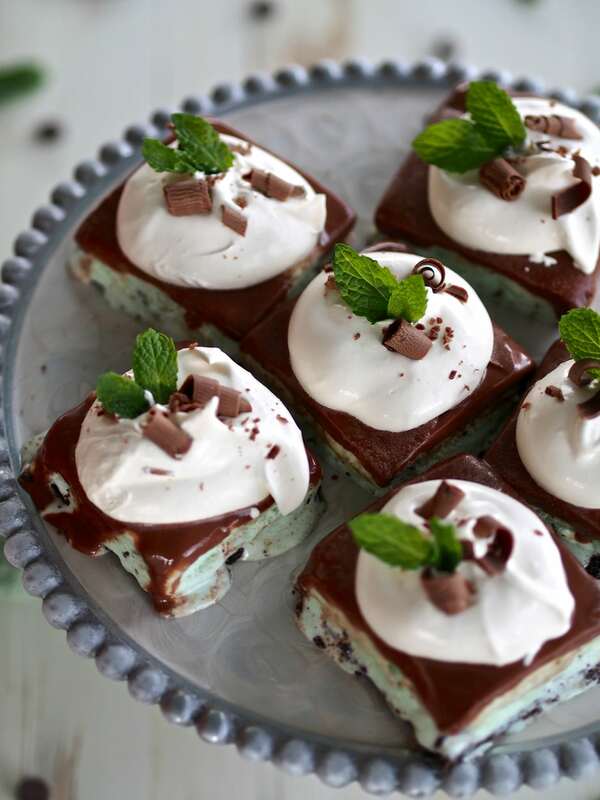 Mint, by itself, can be crazy good but why stop there? We might as well “double our pleasure, double our fun” and invite chocolate to this party. Let’s start with a layer of crushed Oreos and butter. I know we could stop right there, but would that warrant all this attention? Okay then. 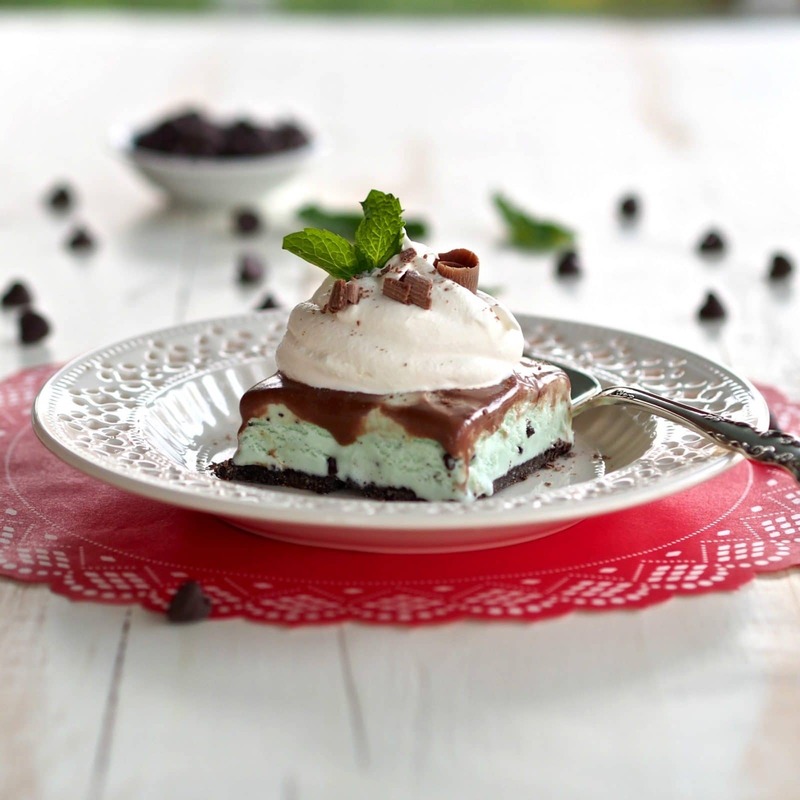 Next, we’ll add a layer of mint-chocolate chip ice cream then cover that with scrumptious fudge sauce. Hold your horses there, Sundance, we aren’t quite finished. Now, pile on the whipped topping of your choice and, to make it even more beautiful, sprinkle on some shaved chocolate. Now – for that last step, the “WOW” factor step; crown each serving with a cute, little mint leaf or two. Now, that is what I’m talking about!! 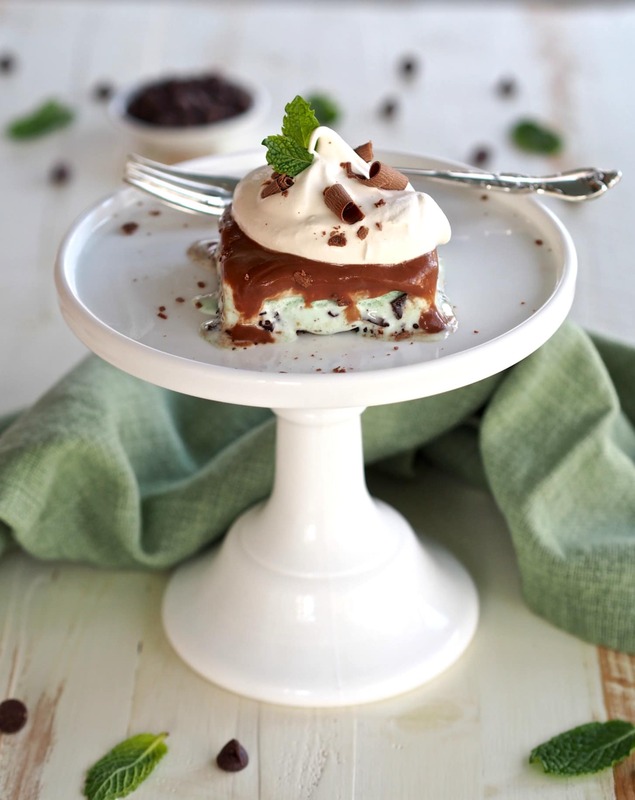 Chocolate and mint is one of the best flavor combinations known to man and Frozen Mint Chocolate Dessert won’t disappoint. It will put pep-in-your-step, up-in-your-down and add a smile-to-your-style. When you take your first bite, you just might feel like you have taken one-step closer to the glory land. FYI – it is good advice to make two desserts; one to serve immediately and one to keep in the freezer. This desserts creates serious cravings. Place Oreos in a food processor fitted with the metal blade pulse into fine crumbs. Add melted butter and granulated sugar then pulse 3-4 times. Press into a 15x10x1-inch baking pan (or cupcake liners **see Notes) and set the pan in the freezer to chill 10-15 minutes. Cut the ice cream into ½ inch thick slices. Lay the ice cream over the Oreo layer and, carefully, spread evenly. Cover and return the pan to freezer to harden - 30-40 minutes. While the dessert is hardening in the freezer make the chocolate sauce. In a small saucepan, melt the chocolate and 1/3 cup butter. Add milk and powdered sugar. Cook on medium-low heat, stirring often, for 20-25 minutes or until thickened slightly. Stir in vanilla extract and mix well. Take off the heat and let sauce cool completely. After the chocolate has cooled, pour the chocolate sauce over the ice cream and return the dessert to the freezer for 30 minutes or until firm. Spread dessert with thawed whipped topping. 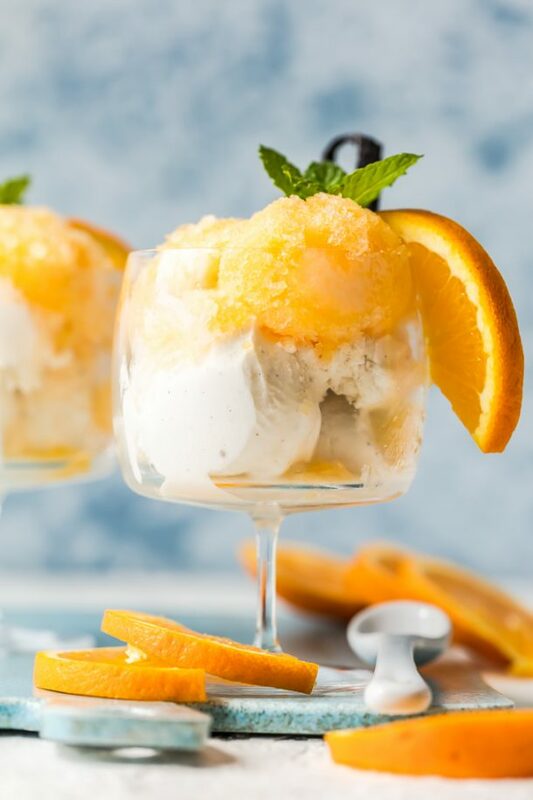 The dessert can be served immediately or return it to freezer until topping is frozen. Once the topping is frozen, serve immediately or wrap in plastic wrap and aluminum foil until ready to serve. Will keep well in the freezer up to 4 weeks. The dessert is made in stages to allow each layer to freeze. If desired, layer the Oreos and ice cream, freeze it overnight, then finish the dessert the next day. 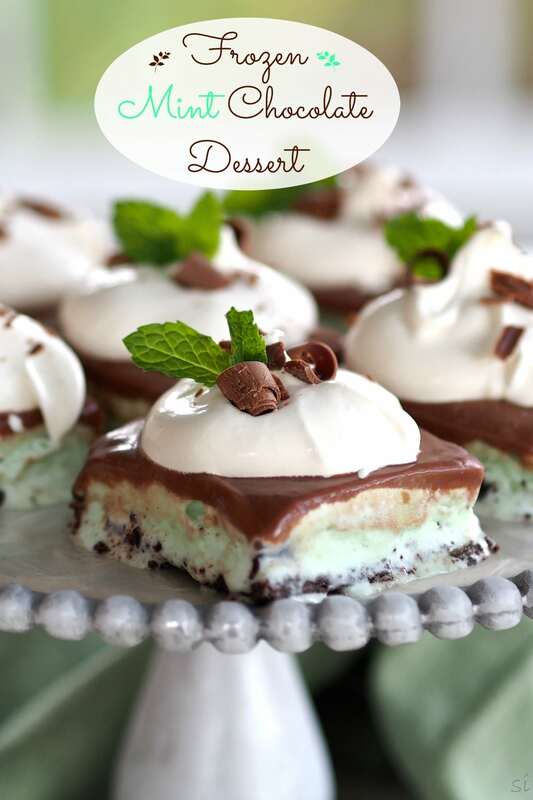 *This dessert can be made with using muffin tins. Line the tins with cupcake liners first. 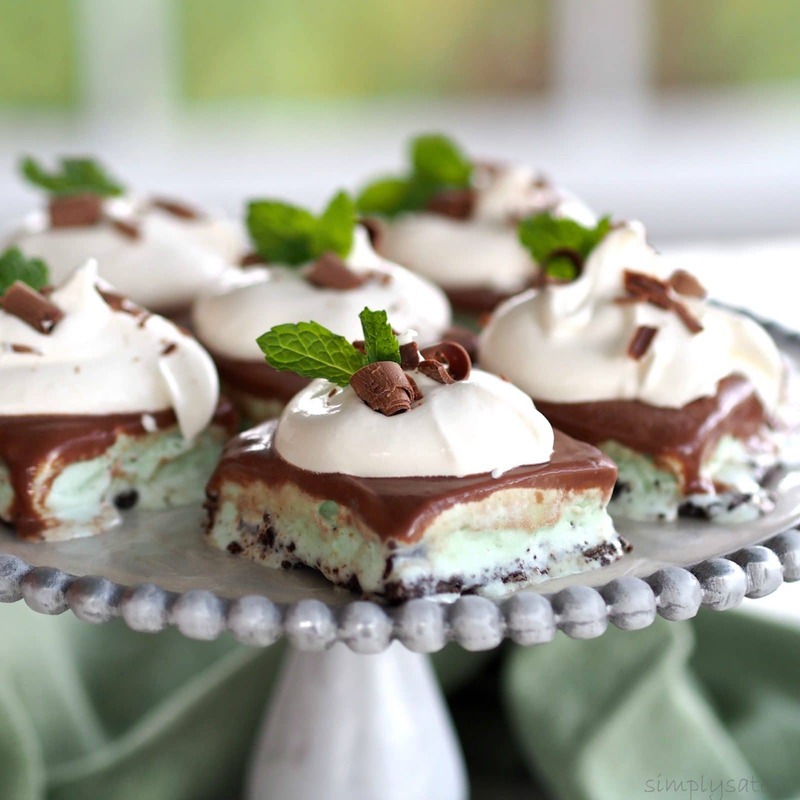 Love the combination of mint and chocolate, so I can imagine I will love these mini frozen treats. Craving one to devour right now! Thanks, Thalia Have a terrific day! This is a stunning looking dessert creation! Your photographs are incredible and I loved your poem. So yummy and beautiful pics...this is a keeper. This is a stunning display of artistry and dessert. Very nicely done and today's Best of Show feature on Platter Talk. This recipe was delicious, and actually very simple to make. If you have the time to space out the freezing of the layers over thr course of several hours, I highly recommended trying it! I will definitely make it again!